Our exhibits are the lifeblood of the Museum. 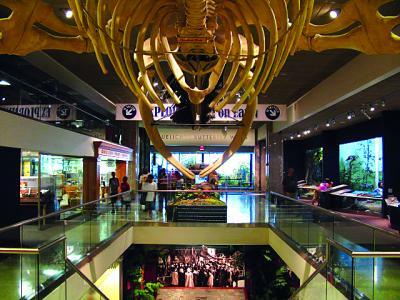 From the Hebior Mammoth in the Museum atrium to the hall of shells in our Living Ocean exhibit, the public floors of MPM are filled with wonders to pique the interest of visitors both young and old. In addition to the Museum's permanent treasures, MPM also frequently welcomes special traveling exhibitions that offer unique and exciting experiences for visitors. In addition to our renowned showcase of permanent exhibits, we are pleased to offer a wide variety of special traveling exhibitions as well as limited-run exhibitions produced in-house. Tour the Museum's 150,000 square feet of exhibit space to visit Africa, stroll through the bustling Streets of Old Milwaukee of a century past, witness a modern-day pow-wow, and more!